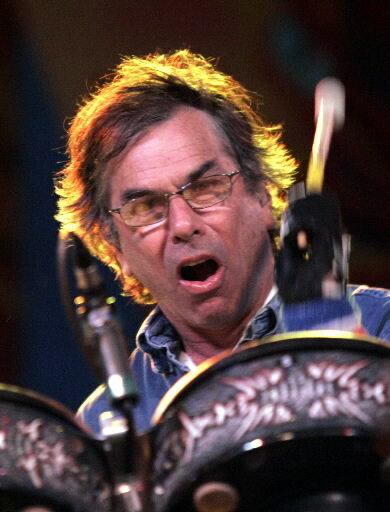 Grammy Award-winning drummer Mickey Hart has never stopped experimenting, from his earlier days with The Grateful Dead to the present. Hart has collaborated with San Francisco choreographer Alonzo King, and with scientists across the country, who helped him translate brain waves, and light waves from space, into musical rhythms. Another of Hart’s experiments is featured in an art show titled “Art at the Edges of Sight,” on display through April 30 at Jamieson Ranch Vineyards, One Kirkland Ranch Road, Napa. The exhibit includes Hart’s “Drum Ki” works, created by using drumsticks and time lapse light technology to portray the nature of rhythm. The Rock and Roll Hall of Famer, who lives in west Sonoma County, will be honored at an artist’s reception from 6 to 8 tonight (April 11). For more information on the Napa Valley Arts in April celebration: www.visitnapavalley/com/artsinapril.